India ranks amongst the top 10 list when we talk about some of the most polluted countries of the world. Although the Indian Government is taking action there is still a lot that needs to be done. However, the good news is many countries and organizations are coming together and finding new ways to eradicate the increasing levels of carbon footprint. There are different ways to fight against the increasing air pollution levels and one of the simplest and perhaps the most effective way ways is the use of electric vehicles. There is no denying the fact that the electric vehicles are the future of transportation for mankind. That said, there are many manufacturers who already sell electric two-wheelers in India but in this list you will find some new names who will join the electric two-wheeler bandwagon soon. We already reported earlier that the Italian two-wheeler manufacturer Lambretta is planning to enter the Indian market once again. They have made plans to showcase a new e-scooter at the 2020 Indian auto expo. Lambretta will be setting up a new plant in Mumbai where they will be manufacturing the new scooters. Lambretta also has plans to export these new electric scooters to Asian and African markets from here. Although no other details of the Lambretta e-scooter are available at this moment but you can expect it to get a neo-retro design and also some modern features like LED headlamps, an all-digital instrument cluster, disc brakes, and ABS safety feature as well. 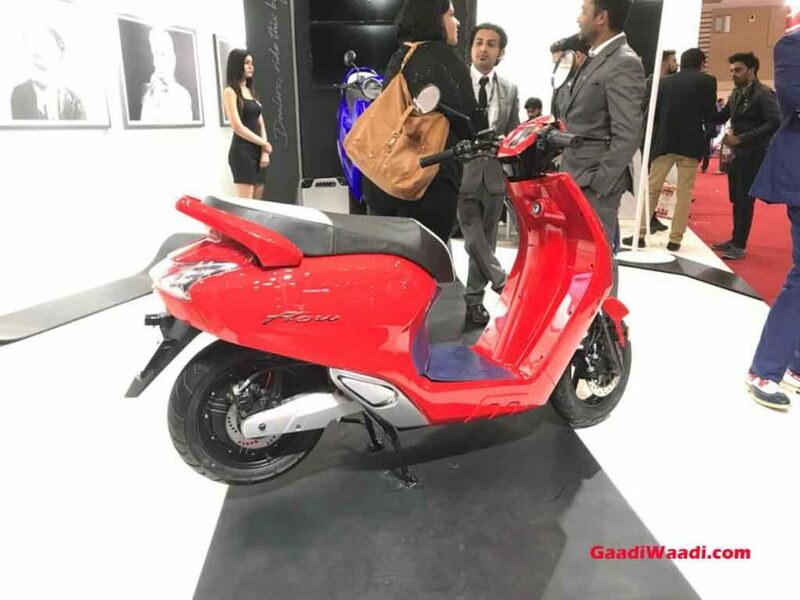 Remember the fancy scooter which was displayed at the TVS stand at the 2018 Auto Expo? The e-scooter is expected to be launched towards the end of 2019. The scooter is being developed in partnership with Intel and is expected to feature some modern connectivity features like GPS park assist, safety, and anti-theft. The TVS Creon will be powered by three Li-ion batteries which promise to provide an overall range of 80 km on a full charge. The electric scooter will be fast and it will feature some modern features like LED lights and a fully digital instrument cluster which will offer plenty of information to the rider. The concept model featured a side mounted rear monoshock, fat tires, and disk brakes at both ends while it also gets a segment first perimeter frame which will house the battery. The Hero Duet first made its official appearance at the 2016 Delhi Auto Expo. The scooter shares its design and some of its other mechanical components with the standard Duet (petrol) scooter. The electric scooter will be powered by an electric motor which produces around 6.7 Ps of peak power and 14 Nm of peak torque. According to Hero, the Duet E can dash from 0-60 km mark in 6.5 seconds. The Duet E also has an overall range of 65 km on a full charge. Although Hero has not made any official announcement yet but you can all expect the electric scooter to launch sometime next year in India. Taiwanese brand KYMCO and Indian electric scooter startup Twenty Two motors have announced a partnership alliance last year. Twenty-two motors already launched the Flow scooter in the Indian market and now they have plans to make some upgrade to make the scooter compatible with KYMCO’s Ionex portable battery solutions. The owner will now have the choice or option to remove the battery completely from the scooter and charged at home. Twenty-two motors also have plans to set up charging stations in Delhi where customers can charge their Flow e-scooter within an hour by paying a nominal fee. Piaggio will perhaps be launching the Vespa Elettrica in India soon. The electric scooter was first showcased at the 2016 EICMA and its already on sale in some European markets. The company has also announced that they also have plans to launch it in the markets of the US and Asia soon. 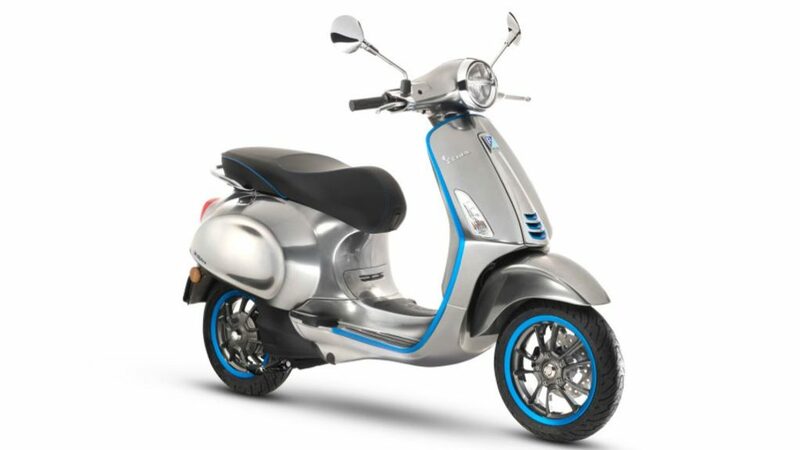 The Vespa Electrica is powered by a 4.0kW electric motor that generates 5.4PS of peak power. The scooter can be fully charged in just four hours and has an overall range of 100 kilometres on a full charge. The Vespa Elettrica also features a TFT display unit which is compatible with the Smartphone. It also features two different power modes – ECO and Power. 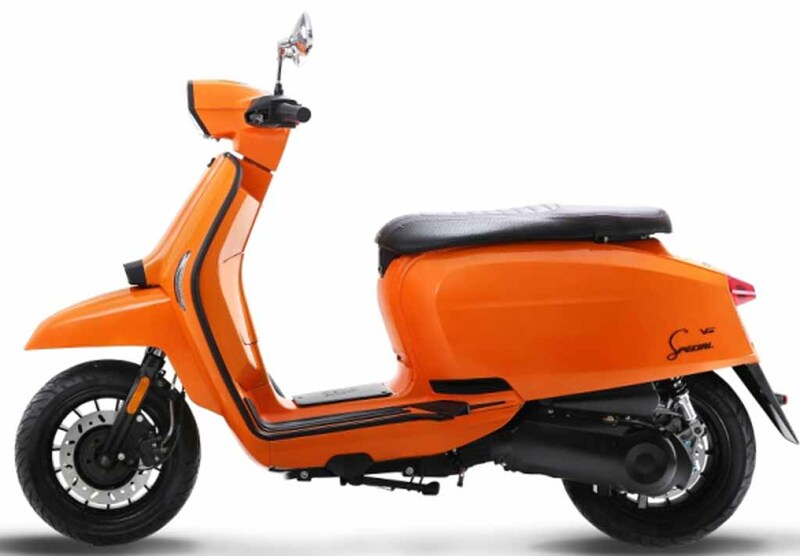 Vespa also sells an ‘X’ variant as well which promises to offer an impressive overall range of 200 km on a single charge. 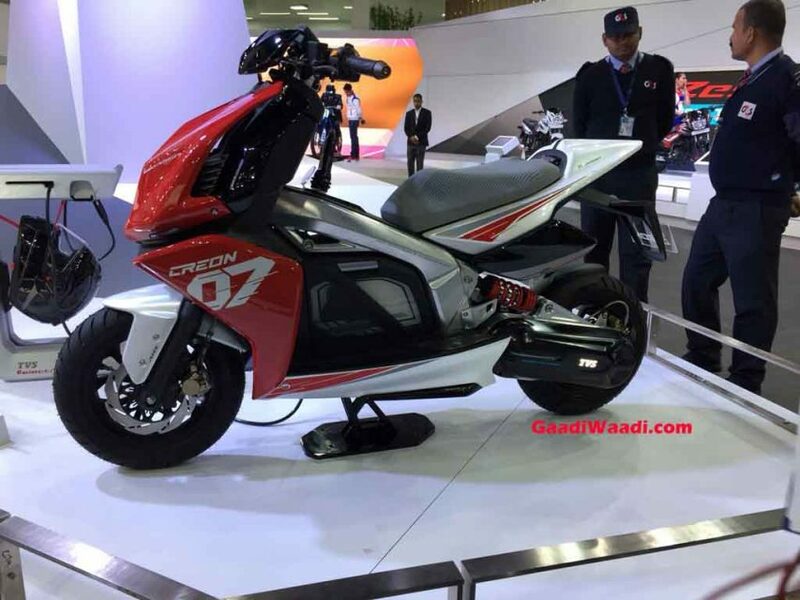 Honda showcased the PCX electric scooter at the 2018 Auto expo where it attracted a lot of attention. The electric scooter looked almost identical to the petrol PCX variant. But the electric variant gets LED lightings both at the front and rear while it also features a fully digital instrument cluster as well. 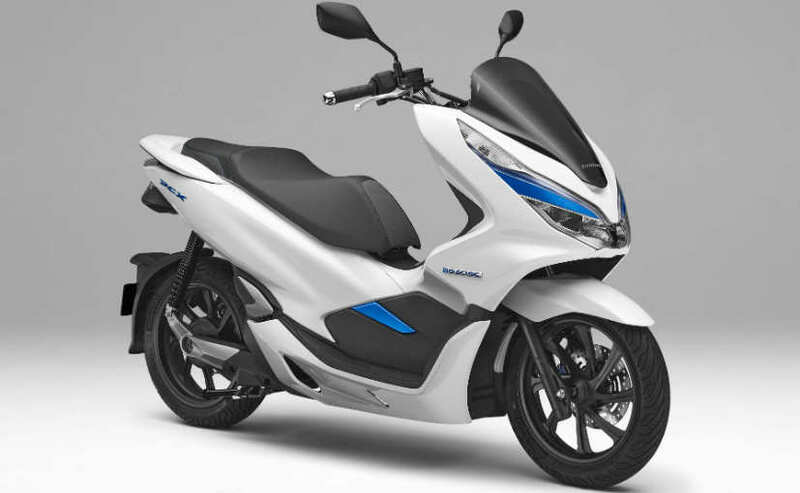 The PCX electric scooters motors is developed by Honda. It also gets detachable batteries positioned just under the seat. The removable batteries could be charged anywhere or even swapped for a new one at any charging station. 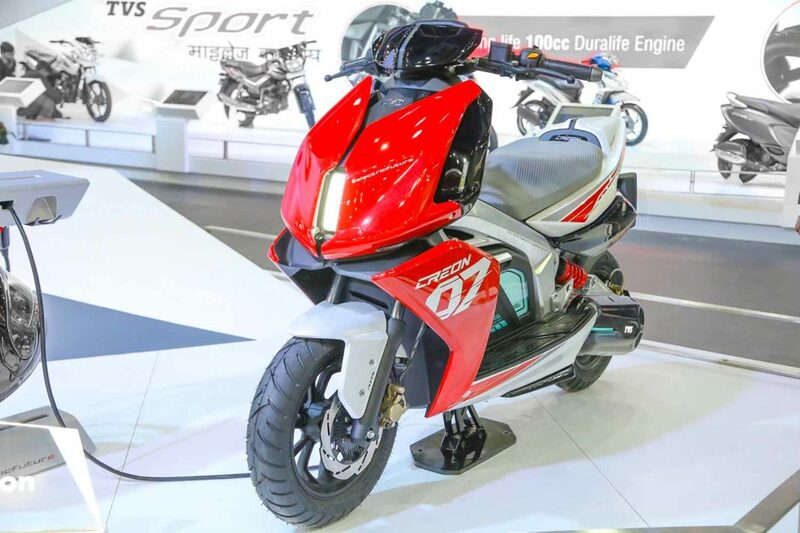 As far as the launch dates of the Honda PCX is concerned, the Japanse two-wheeler manufacturer could launch the electric scooter early 2020 in India.